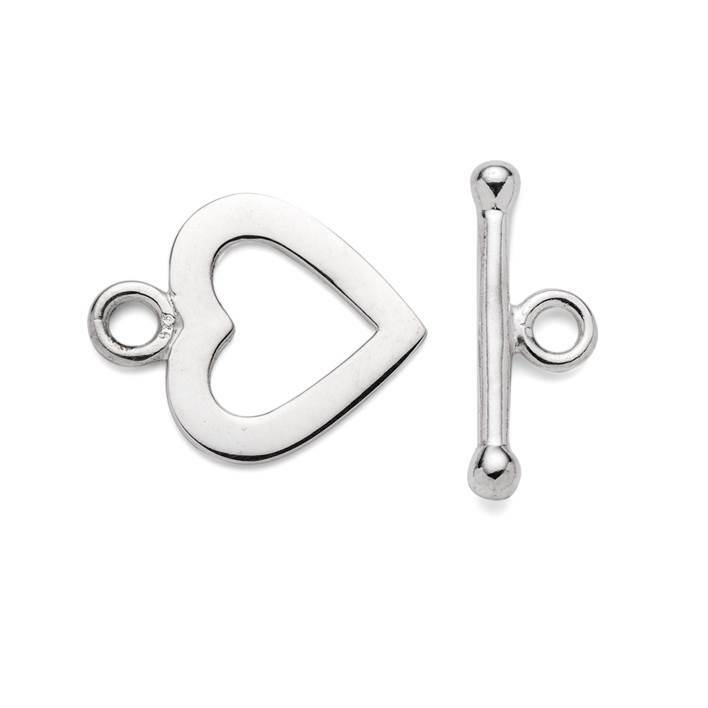 This sterling silver, heart-shaped toggle clasp is a favourite of ours. Toggle clasps feature frequently in modern jewellery and this lovely contemporary design adds a touch of romance to your creations and even allows you to make a feature of the fastener rather than hiding it from view. 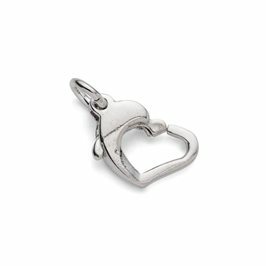 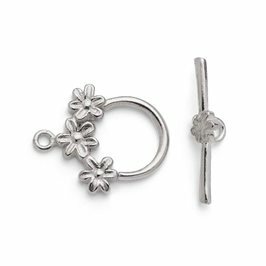 The heart side of the clasp measures 18x15mm and the bar part is 19mm long, making it a sturdy and easy-to-handle fastener. 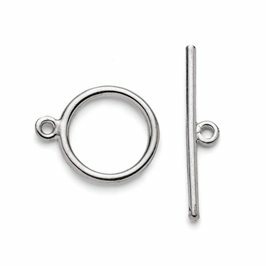 The rings themselves are soldered closed so there is no gap for fine threads to slip through, meaning that your beaded design can simply be knotted or crimped directly onto the loops.